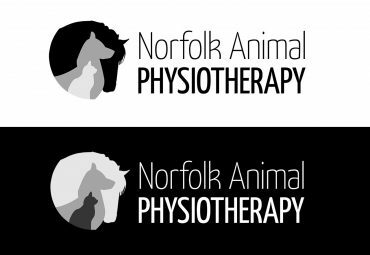 Norfolk Animal Physio was a new venture for the client who already had a well-established physiotherapy clinic in North Norfolk. After retraining to treat animals with physiotherapy the client needed to start a new business to promote this venture. 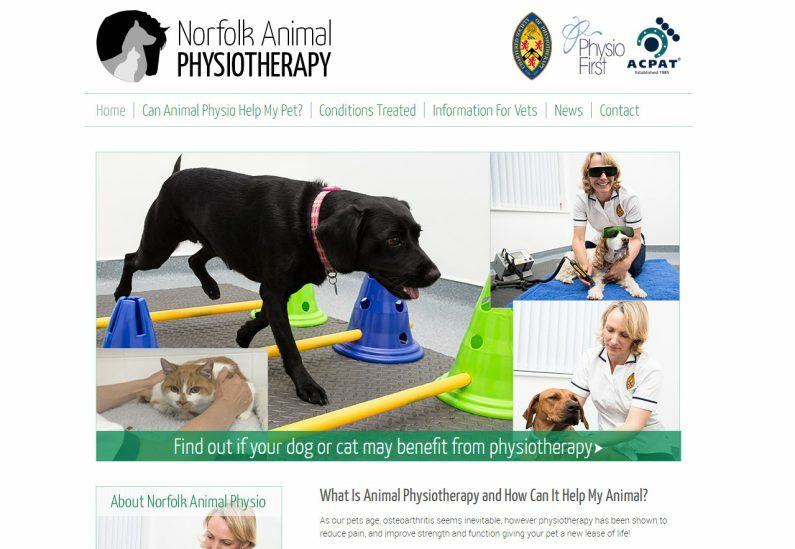 Norfolk Animal Physio needed a brand identity and a website to promote their business. We were tasked with producing a logo for the brand that incorporated horses, dogs and cats (the only animals that the client treats). The logo needed to be clear enough to be printed and embroidered onto clothing. The brand identity needed to reflect the clinical nature of this work and for this reason the brand colours are kept to black, white, grey and “veterinary” green. We created a clear brand identity for the new business that incorporated the animals and reflected the clinical nature of the business. 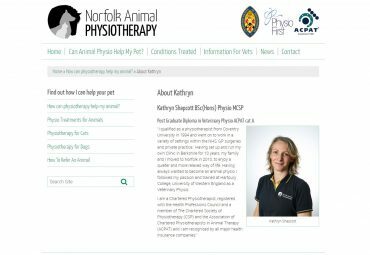 Then we built a simple WordPress website that helped veterinarians easily find the referral form that is required for them to complete in order to refer animals to the physio clinic. For pet owners there was a clear path to the information required for them to find out how they can get their pets treated.